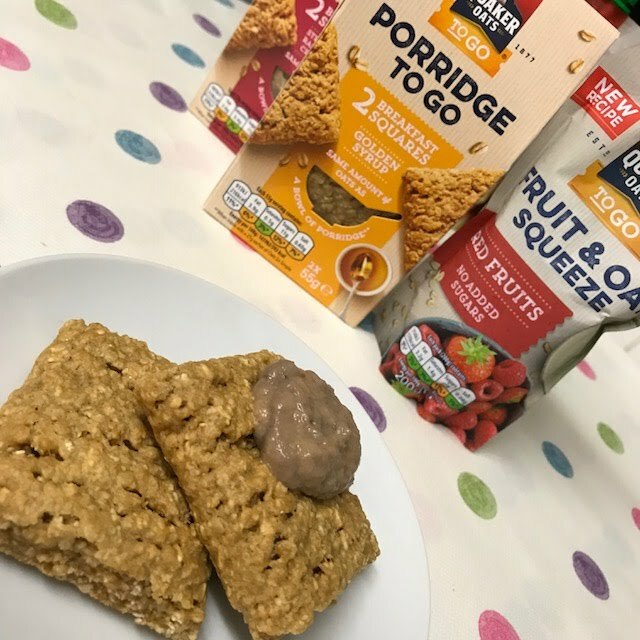 Like most mornings I'm in a rush and often I don’t have the time to think about breakfast, But now thanks to Quaker Oats who have launched Quaker Oats To Go, a delicious new range that you can have whilst on the move. The new Quaker Porridge To Go Squares are tasty soft squares that taste great gently warmed in the microwave for a few seconds, each square contains the same amount of oats as a 27g sachet of Oats So Simple, available in Golden Syrup and Strawberry Raspberry Cranberry and best of all they taste delicious. 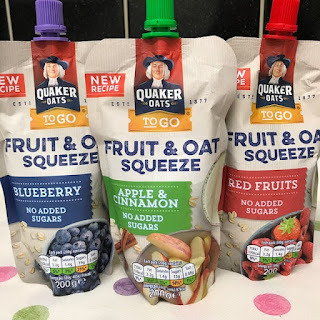 Quaker Fruit & Oat Squeeze is a combination of yoghurt fruit and oats, with no added sugar I was pleasantly surprised by the delicious taste, Quaker Fruit & Oat Squeeze are available in Red Fruits, Apple & Cinnamon and Blueberry, these Quacker Fruit & Oats Squeeze are the perfect breakfast for my boys before school. 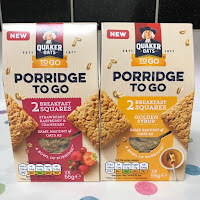 Quaker Oats To Go is available at retailers nationwide: RRP Porridge To Go Duo Pack 2 x 55g @£1.39 (Golden Syrup and Strawberry Raspberry Cranberry) RRP Porridge To Go Single 55g @£0.75 (Golden Syrup and Strawberry Raspberry Cranberry) RRP Fruit & Oat Squeeze 200g pouch @£1.39 (Red Fruits, Apple & Cinnamon, Blueberry).